Providing support throughout your wedding planning journey this bespoke service is ideal for couples planning their wedding day whilst juggling hectic work schedules, busy family lives or both. Tailored to meet the requirements of your wedding day this flexible planning service allows me to provide assistance with each element associated with planning and delivering your special day. Please expect to invest between 10% – 15% of your wedding budget for my Full Wedding Planning service, with a minimum fee applying. Blending your plans with my knowledge and expertise my Partial Planning service is perfect for couples who have laid the foundations for their wedding, but now require assistance as their wedding day approaches. Providing full administrative support for each element of your wedding, reviewing and complimenting your existing plans, taking care of any final arrangements as well as co-ordinating your wedding day, my Partial Planning service will allow you to relax and enjoy the countdown to your wedding. Prices for my Partial Planning service start from £1950. 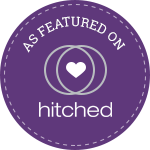 Working with you one month before your wedding day my On The Day Co-ordination & Management service is perfect for couples who have planned their wedding but now require the assurance of working with a planner in the weeks leading up to their wedding. Ensuring that no detail has been overlooked, I will review your plans, contact each of your suppliers as well as being on hand to provide advice and assistance when required. I will then be with you on your wedding day working discreetly behind the scenes allowing you to relax and enjoy your special day. Prices for my On The Day Co-ordination & Management service start from £850. Ideal for couples who are planning their own wedding, yet require guidance with a particular element of planning their big day. You may be seeking inspiration on how to make a start on planning your wedding, help with creating and allocating your budget or advice on how to source and secure the perfect wedding suppliers. Quotes for this service are given on an individual basis and are dependent on the area in which advice is required.